Tour to the Monkey Park 2011-2012!! - Travel Tips to Nozawa onsen Japan! Tour to the Monkey Park 2011-2012!! Join the tour to the Monkey Park!!! 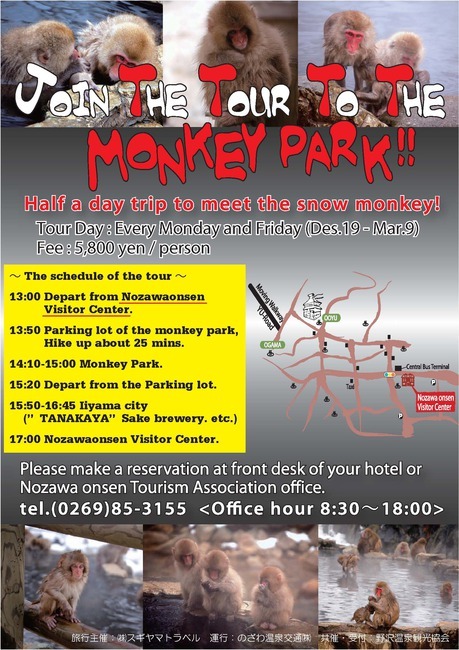 Half a day trip to meet the snow monkey!!!! We make a book for you. Please ask us! More Snow Monkey Park information.